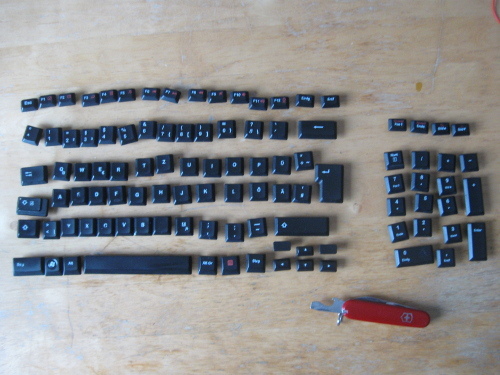 Successful life-hacker experiment: Removed all the keys from the keyboard, washed both keys and chassis, and almost as good as new. A Swiss knife is useful, but not absolutely necessary. 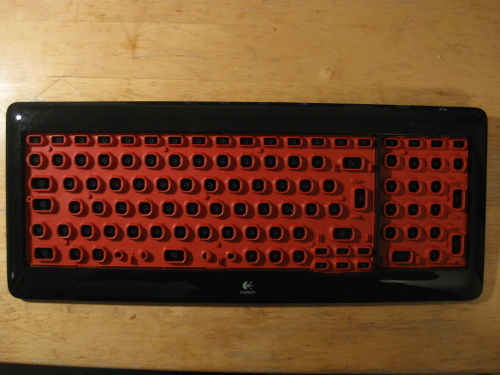 Lesson learned, however: after giving the keyboard a shower, it is a good idea to wait for a couple of days until it has completely dried. I do not know why it took so long.